Thomas Malcolm Muggeridge (24 March 1903 – 14 November 1990) was an English journalist, author, media personality, and satirist. 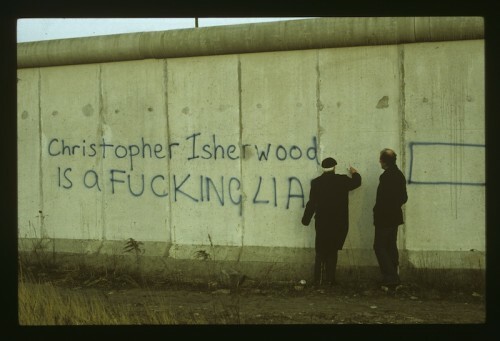 DuringWorld War II, he was a soldier and a spy. In his early life a left-wing sympathiser, Muggeridge later became a forceful anti-communist. He is credited with popularising Mother Teresa and in his later years became a Catholic and moral campaigner. 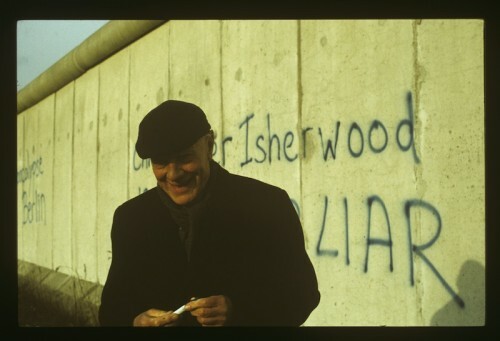 Robert photographed Malcolm at the Berlin Wall in 1980.